Margaret Dewar discusses the differences in capacity in the community development field in Detroit and Cleveland in her article “What Helps or Hinders Nonprofit Developers in Reusing Vacant, Abandoned, and Contaminated Land?” The article, published in 2013, is focused around a central question – why are developers in Cleveland, where challenges related to demand for land that are nearly identical to Detroit, so much more successful in reusing vacant property? Although Cleveland is a smaller city, nonprofit developers there bought three times as many vacant properties as their peers in Detroit and completed twice as many projects on purchased land. Dewar concludes that organizational capacity within community development corporations (CDC) is what separates the experiences of Cleveland from Detroit. Cleveland CDCs benefit from an established community development system that supports their actions and makes them more likely to succeed. 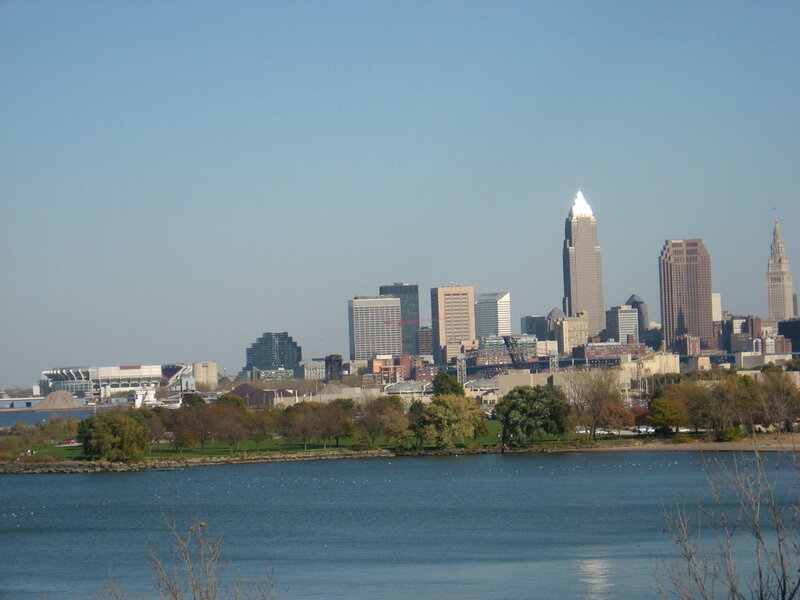 A critical actor in this system is the city of Cleveland itself, which works closely with CDCs to enact its own neighborhood goals and provides the organizations with substantial funding through the Community Development Block Grant program. In Detroit, on the other hand, the relationship between the city and community development organizations was less collaborative and could be openly hostile. Detroit also provided a much smaller share of their CDBG dollars to local community development groups, something that Dewar concludes may be due to the city council’s at-large method of representation instead of a ward-based system that encourages spreading money across different neighborhoods. Additionally, the city of Cleveland was more effective in transferring property to nonprofit developers through its land bank while Detroit struggled to efficiently hand over land, particularly with a clear title. Detroit, Michigan (source: Wikicommons) and Cleveland, Ohio (source: GOPC). Beyond city government, Dewar argues that CDCs in Cleveland have other significant advantages. Perhaps most importantly, a network of support organizations arose to help neighborhood-level CDCs take on more complex projects. Neighborhood Progress, Inc. (now known as Cleveland Neighborhood Progress) is particularly important, as they work directly on building local CDCs’ capacity and take on projects that would be hard for small CDCs to do alone. The Cleveland Housing Network can also help CDCs approach more complex or risky projects by serving as a developer and arranging financing. Detroit has neither of these kinds of organizations, although there is a trade association for local CDCs that has been moderately helpful in illuminating the challenges local CDCs are facing. According to Dewar, personal relationships are also a challenge in Detroit more so than in Cleveland. In Cleveland, representatives of the community development industry report that most actors work collaboratively and focus on solving systemic problems together. Although a history of strained race relations exists in both cities, representatives of nonprofit developers in Detroit mentioned race as an ongoing issue in the local community development industry. According to these stakeholders, leadership in the industry is disproportionately white for a majority black city. Dewar concludes that the differences in the evolution of Detroit and Cleveland’s community development sectors have played out visibly in their abilities’ to reuse vacant and abandoned land. She suggests that stakeholders in Detroit can work to create a more robust community development system by reforming the city’s CDBG program, developing a local intermediary like Cleveland Neighborhood Progress, or create a regional, large scale non-profit housing developer like Cleveland Housing Network.